The Domaine was founded in 1905 by Gabriel Archimbaud and is now run by Maurice Vache and his two sons Jean-Michel and Frederic. The Archimbaud and Vache families are among the oldest ones in Vacqueyras. The oldest part of the property dates back to the 12th century and belonged to "Les Chevaliers de l'Ordre des Templiers" (the Templar Knights). An ancient Moorish Tower sits on the property, the Tower of Sarrasine in ruins. 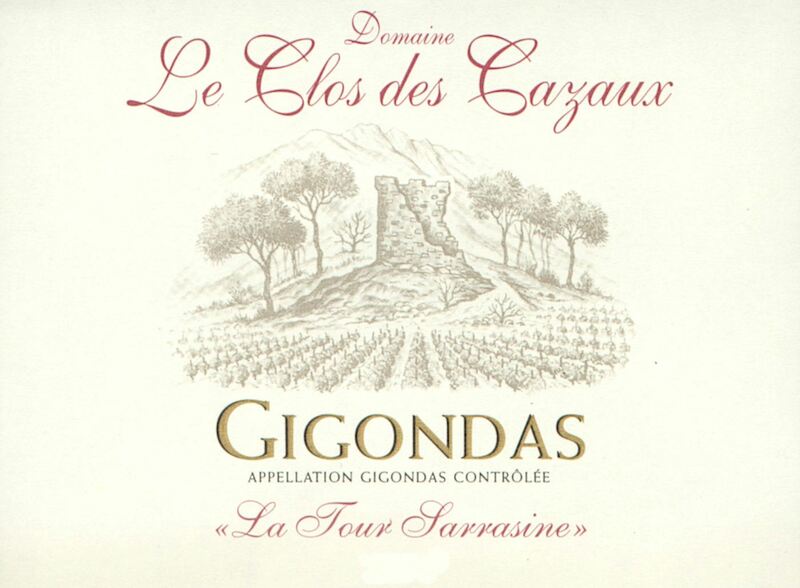 - 25 ha in Gigondas. The quality of the soil is outstanding and the sun exposure is optimal due to the special location of the vineyard, surrounded by the rocky massif of the "Dentelles de Montmirail", upon which is built the Sarrasine tower. - 15 ha in Vacqueyras, on sandy-clayey and sunny slopes. The vineyards are planted to 60% Grenache, 30% Syrah and 10% Mourvedre. The vines are 40-50 year old. The annual production is 8,800 to 10,000 cases. The average yield is 28 hl/ha. The vines are cultivated with utmost respect to the environment. Only Bordeaux mixture (antifungal agent consisting of a solution of copper sulfate and quicklime) and sulfur is used in the phytosanitary (pertaining to the health of plant) and vineyard treatment. At all times, the vineyards are manually tended, including manual harvest. To ensure optimal quality, only the best grapes are selected during a green harvest in Summer which eliminates at least 20% of the production. Each grape variety is picked at its optimum maturity and vinified separately. Syrah is usually harvested first, followed by Grenache and then Mourvèdre. The whole clusters are placed into specially equipped bins having a screw in the bottom that allow the grapes to fall into the tanks without any crushing. This near carbonic fermentation period depends on the grape varieties and the conditions. When the fermentation is complete, the varietal wines are blended together (typically in November). Mordoree Chateauneuf du Pape Rouge La Belle Voyageuse is a more approachable version of the La Reine des Bois. It is meant to be enjoyable early compared to her sister Cuvée which is made for the long run.